At no extra charge, the Musée des Beaux-Arts welcomes disabled visitors. Reservation required 05 56 10 25 25. 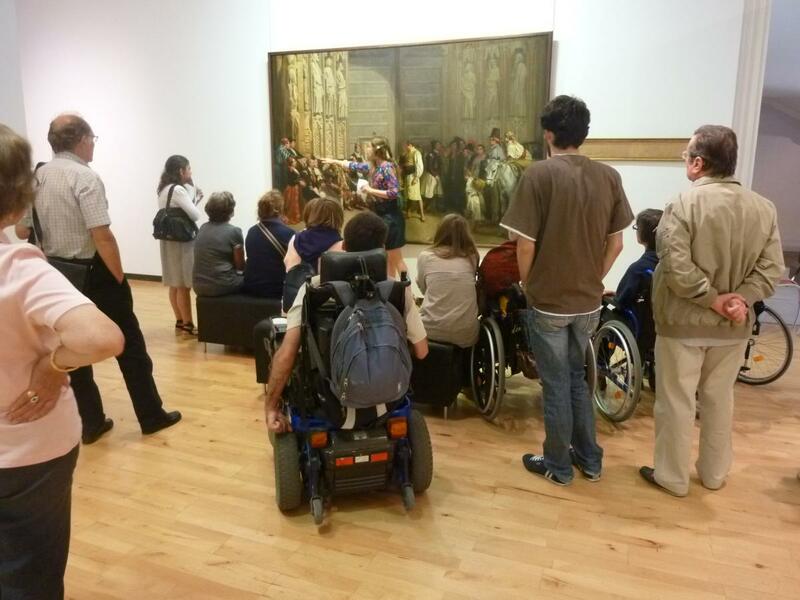 At no extra charge, the Musée des Beaux-Arts welcomes disabled visitors, whether they be individuals, families or pre-established groups (institutions for the disabled from the healthcare and medical/social sector). 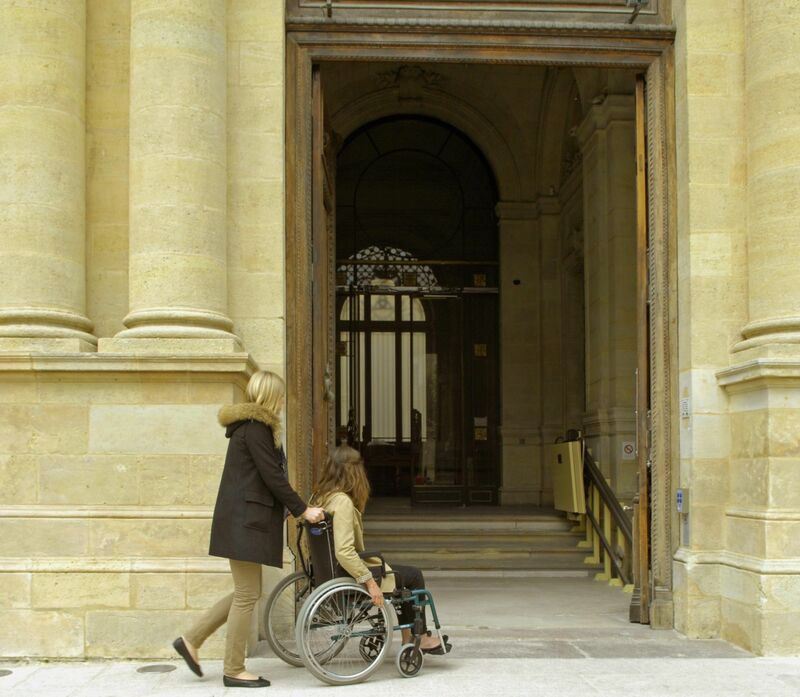 Since July 2012, the museum has been awarded the "label national d'accueil et d'accessibilité "Tourism & Handicap". Over a period of 5 years, the museum is committed to providing a quality service for people with motor, mental, and auditory disabilities. Two parking spaces reserved for persons with reduced mobility are also available near the Musée (south wing). Gallery and museum : entry to the buildings facilitated by access ramps, automatic doors and elevators. The museum’s cultural service is provided for the benefit of all visitors. Its goal is to give visitors the chance to learn about and appreciate the museum’s treasures, to raise public awareness for the arts and to arouse their curiosity and stimulate observation and imagination through a variety of tours and activities based on the permanent collections and temporary exhibitions. By appointment, the service can adapt a specific, guided group tour of the permanent collections or the temporary exhibitions in collaboration with institutions. Appointment at 05 56 10 25 25. An access ramp with ground lighting has been installed at the entrance to the northern and southern wings. An elevator has been installed to solve the problem presented by the steps at the entry to the museum. Thanks to the remodeling, the different museum areas are now in compliance with the “The City and the Disabled” Charter signed on May 9, 2011. In addition, wheelchair-access restrooms are available in the southern wing and a wheelchair lane between the northern and southern wings enables visitors to tour the City Hall Gardens in complete safety. A warning light has been installed to complement the standard fire alarm in the restrooms. While creating the museum’s website, the agency and graphic designer in charge of its development were requested to follow the “Référentiel Général d'Accessibilité pour les Administrations” [General Reference Guide of Accessibility for Administrations]. Each and every point in the RGAA has been evaluated. To meet its guidelines, certain features have been recommended to maintain the “AA” accessibility grade for all content. The Musée des Beaux-Arts offers complementary downloads of written and audio documents to accompany the standard content of its sections.